Actually whst is classified as MST? Anything that uses visa to swipe? How about those credit card terminal that needs to be inserted? Google MST and read from there. It's a samsung technology. Nice! 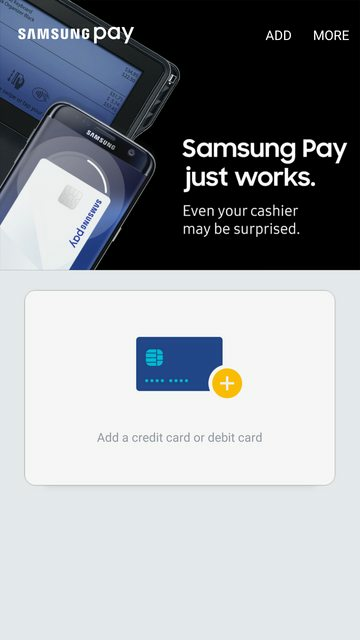 Being able to use Samsung Pay on any credit card terminal in Singapore makes it way more useful than Apple Pay. Way to go Samsung! From the video, it seems to work on an EMV terminal. Well, I think the best way to find out is to go to those self check out counters where you insert your OCBC card and use Samsung Pay instead. That way might convince you, not sure about that. MST is useful when u don't have the NFC reader to use. All terminals come with emv slot and magnetic card slot for the swipe transactions. 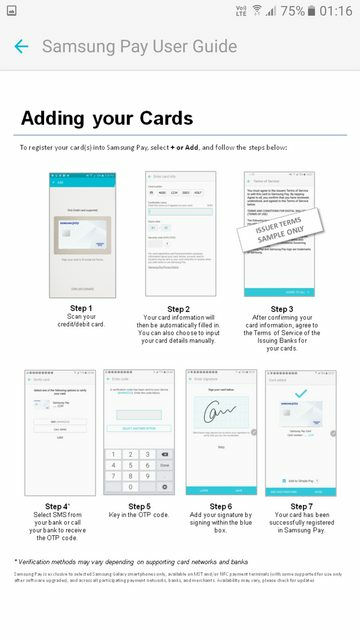 As long as the merchant accepts cards transaction, samsung pay kicks in. The only issue encountered was the weird look from cashier. Cos normally merchants don't expect to pass u their terminal as normally, they take our card and slot into the emv slot for us.. I think the more "geh kiang" cashiers will think you are trying to hack into the system and defraud the merchant and bank, and kick you out of the store, or call the police! .. Lol. At the end of the day, it's them who is gonna be disgraced. 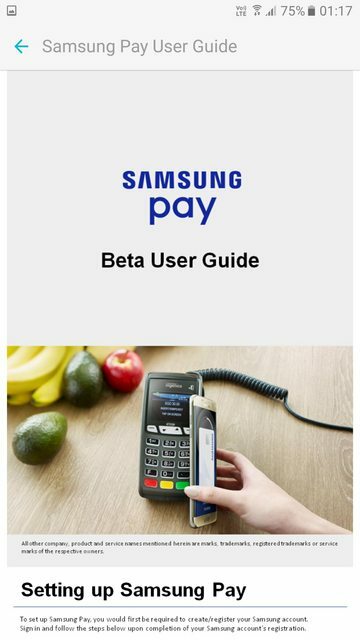 I believe the merchants are already aware when apple pay was launched. It's up to the merchants to educate their employees bah. Of course we consumers cannot be too arrogant, treat everyone with due respect is the way to progress in society.. Here is the user guide. Last edited by seller4; 29-05-2016 at 01:39 AM.. Beta already started. So far OCBC for the first week of beta.. Only 2nd June onwards more should be available. DBS(Visa, Master) OCBC(Master) SC(Visa,Master) The list will expand eventually. Thats why ppl are saying there is no proper planning at Samsung side. If DBS/SC not supported from day one in Beta, they should have not mentioned that !! It will eventually. We are currently testing it with a wider but invited group of people. So far it is looking good. Last edited by deathst; 29-05-2016 at 01:49 AM..
Whoever wishes to try S Pay at Popular and Kiddy Palace - You're out of luck. Went to those shops over the weekend and they said that they are rejecting* mobile wallet payments. When I probed why, I got a reply: "Because my HR said so." 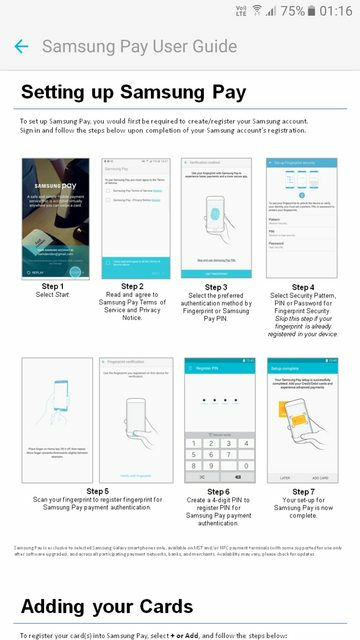 You don't have to use the term Samsung pay at them mah.. just say pay wave pay pass lor.. But if I'm not wrong, kiddy palace don't have the contactless reader but popular should have. Popular accepts contactless and I don't understand how they can stop us from using it.. I think what he meant was merchant rejecting customers from making MST payments, not nfc contactless. Yesterday paid using S-Pay... just tell cashier that I'm paying by Paywave. Tap and go. There is a limit on using paywave right? Less than $100 or something?